African Tanks has one of South Africa’s widest ranges of liquid bulk storage tanks, ideal for safely storing a wide variety of liquids. 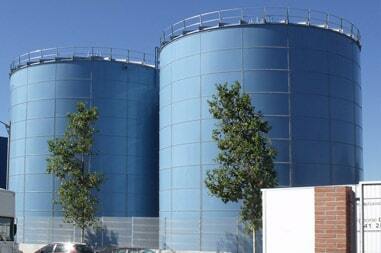 Liquid bulk storage tanks are in many ways vastly different from those made to store dry product. At African Tanks, we supply the nation with some of the best tanks in South Africa and our reach extends well beyond our borders into other African nations. We have 6 liquid tank solutions available to our diverse clientele, with each tank serving a particular purpose. 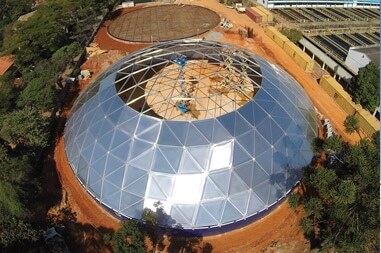 You can select aluminium geodesic domed tanks, industrial liquid storage tanks, fire protection tanks, anaerobic digester tanks, wastewater storage tanks and municipal water bulk reservoirs from our catalogue. Each of our tanks is made using the very best materials, which gives the tanks a longer life and means there is less need for maintenance. Our bulk liquid containers are precisely put together in such a way that leaks will not happen and contaminants will not be able to fall into whatever liquids you are storing. When using any one of our bulk liquid storage tanks, your product will be kept in pristine condition, ready to be used or sold when needed. Because our tanks have a tremendous lifespan, require minimum maintenance and can be successfully used for many years, these tanks have sizeable resale value. To offer our clients the best in tanks, we’ve partnered with Tank Connection, a well-known worldwide tank manufacturer and distributor. Tank Connection is best known for their phenomenal, high-quality tanks, as well as their use of the LIQ Fusion 8000 FBE coating system. Not only does this coating prevent leaks and contamination, but it is exceptionally strong, making the tanks even more durable. This coating is stronger than porcelain enamel and it is far superior when compared to any field applied coating. There is little surprise that Tank Connection is the leader in steel tank design and liquid coating. 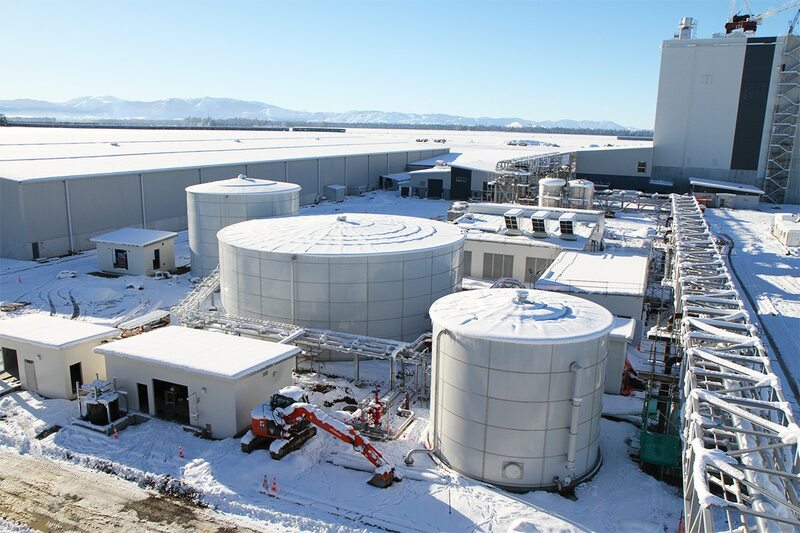 The other reason why we rely on Tank Connection tanks to meet the requirements of our clients is that they are the only company in the world that designs, manufactures and then installs 4 types of liquid bulk storage tanks. These tanks include the field-welded storage tank, the hybrid storage tank, the shop-welded storage tank and the bolted RTP tank. The company uses the rolled, tapered panel (RTP) construction process and this manufacturing style is considered the best in the world. This design is also considered the only bolted tank design that is suitable for replacing the field-weld storage tank construction process. Tank Connection bolted tanks are available in all sizes and some tanks are capable of holding up to 8.2 million gallons of liquid. 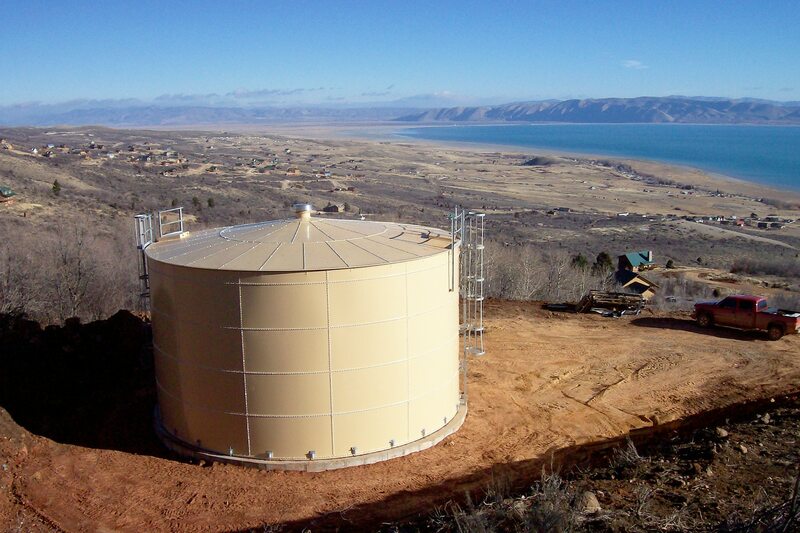 Their field-welded liquid storage tanks are available in sizes of up to 25 million gallons. The RTP tanks can be containerized and shipped to countries all over the world, so even if you are not in South Africa, you can still benefit from having a bulk storage tank. 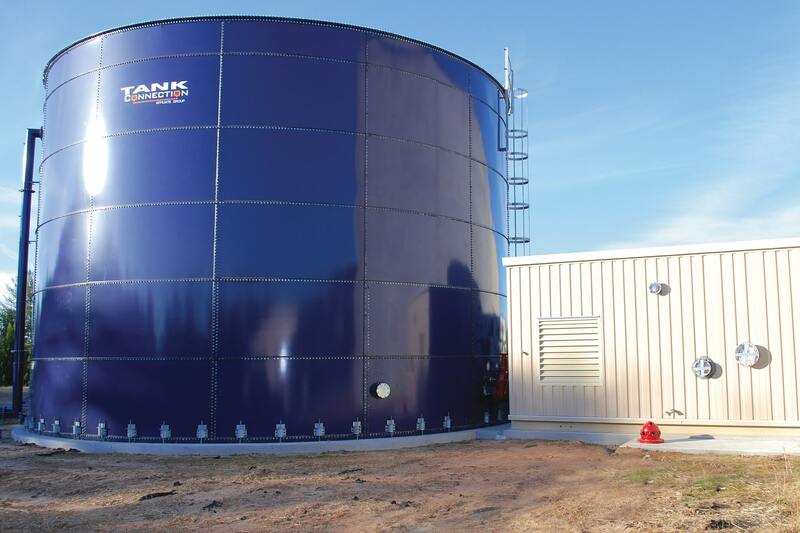 As an industry leader in potable water storage tank construction as well as bulk liquid storage for a variety of other liquids, you can trust in Tank Connection and African Tanks to provide you with a reliable solution. Depending on your needs, location and timeframe, there are many factors to consider when looking at bolted vs. field welded tanks. Your bolted tank is generally premade and shipped to your location. In a way, this saves time and money as you can receive an already made tank, have it installed and then fill it. Normally, these tanks are made in standard sizes and ordered as such. There is a downside to ordering a tank like this, as you won’t have the option of customising. On the other hand, this might be exactly what you need! All you need to do is think about your requirements and choose accordingly. The field-welded tank is pretty self-explanatory. The tank is far more customised than your bolted tank option in that you can select the size you need rather than settling for a premade size. The team will then come out to your location and build your tank onsite, from the foundations up. 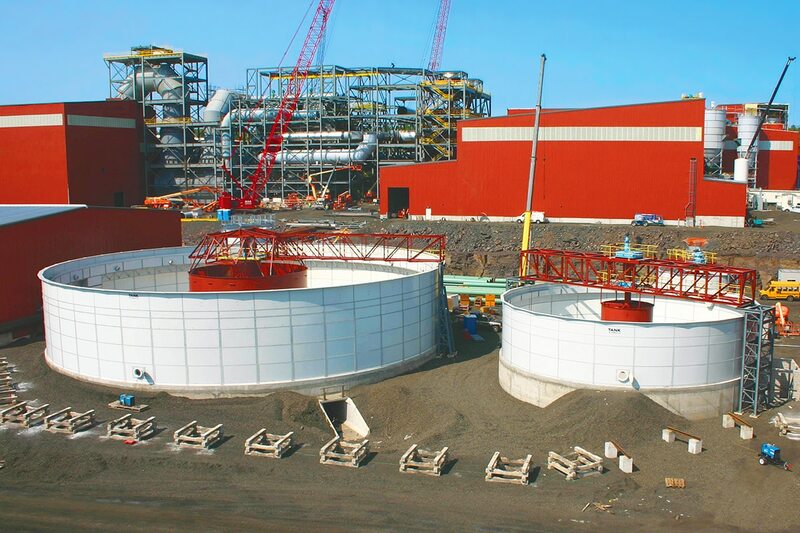 At African Tanks, we have years of experience in the designing, manufacturing and installation of liquid bulk storage tanks as well as dry bulk storage tanks. Along with the knowledge we have from our time partnering with Tank Connection, we can offer you the best advice for when you next find yourself in need of a tank. Having trouble making your choice? Have a chat with our team of experts. We’ll quickly answer your questions and point you in the right direction!